Chad Hunter is a weapons engineer. As a wealthy man comments in the first recorded adventure of Hunter, he is "...the best weapons engineer in America. Graduated from Colorado with honors, worked for nearly ten years with Colt, three of which were spent with von Herz. Then you returned to the states and worked for the Army for a little over three years. You left government employment a year ago to work as a private consultant. A free agent, I suppose.” The "von Herz" mentioned is a German arms designer of major reputation so the fact that Hunter was able to work with him for three years says a lot for his skills. While he is very gifted and trained and well regarded in the arms industry, he is not, if the pun may be excused, loaded. His consultancy business barely pays for his simple lifestyle but since it is simple, he is content and not really looking for something to bring in the big bucks. If he had been, he likely would have remained with one of his former employers. What Hunter likes more than financial success is the work. He truly enjoys the mechanics and the science of creating an instrument that can hurl a tiny object a very long distance at a very fast speed. The fact that the intended recipient of that object is likely another human being whose demise is the intention is not lost on Hunter. He had long before stopped using his creations to hunt animals no matter how tasty they might be; the animals did not have a chance and that did not sit well with Hunter. When he hunts for food now, he uses a bow and arrow. Joining Hunter in the three adventures are two people worth noting. The first is Frank Baldwin, an older man and an expert at optics. His revolutionary scope was what brought the two together and their instant friendship has helped their working together. Baldwin is not quite as active as Hunter but his experience and good sense are invaluable. And then there is Sirena. A beautiful woman holding dual U.S. and Israeli citizenship, her background is one of mystery with a good deal of her young adult life kept hidden by the National Security Agency. When the cloak and dagger business starts to envelope Hunter, she is there to be a guide and she is very good at handling herself in that shady world. She and Hunter become far closer than friends. NATO is in the hunt for a powerful new rifle, one so good that an average shooter becomes a marksman. The gun is being made by a German company and an American firm hires Chad Hunter, along with Frank Baldwin, to convince that firm to license it. Unfortunately, other countries want it and are willing to kill any and all rivals. Someone is blowing up the fancy estates of wealthy businessmen all over the world. Somehow it is connected to a case an American agent is investigating and it nearly gets her killed. 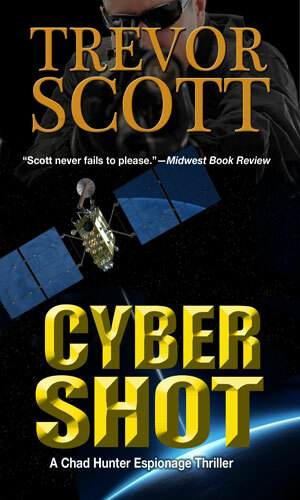 When a scientist working on a new weapon is kidnapped, Chad Hunter is asked to look into things. 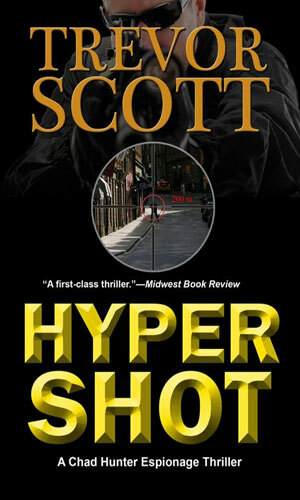 Chad Hunter is hired by the Defense Department to work on a revolutionary new weapon based on the Hypershot rail gun system. Attending a conference, Hunter runs into his friend Sirena and both are nearly killed when terrorists attack their hotel. Now both are curious if the attack has something to do with the new weapon. I am a Trevor Scott fan from his Jake Adams stories. I say that outright to make sure context is established. I might have been more of a fan of Chad Hunter than I am if I had any real interest in weaponry because it is clear that Hunter is an expert and loves his field of endeavor. Much of what was said was not particularly over my head as outside my vision. 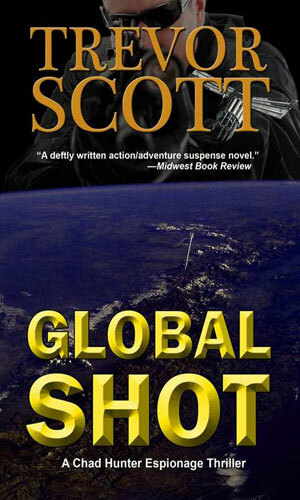 But Mr. Scott is a very good storyteller and his skill keeps the action moving and makes the characters interesting so if you have any interest in firearms and the business end of such things, this series is likely more for you than for me. Of course, if the character Sirena was the main focus, I might have had a different attitude. She more than Hunter is someone to keep an eye on.